Welcome! Here you can find information and resources about Youth Justice in Dane County, Wisconsin. Juvenile Justice is now YOUTH JUSTICE! This name change is reflective of the broadness of the scope of our services. The Dane County Department of Human Services (DCDHS) – Children, Youth and Families – Youth Justice Services offers an array of services both directly and through purchase of service agencies for youth who are adjudicated delinquent or at risk for formal court involvement. Programming is based in the Balanced and Restorative Justice model (BARJ). The BARJ model calls for youths to be held accountable for their behaviors, for agencies to assist youths in building desirable competencies and for community safety to be addressed. In 2008, DCDHS in collaboration with system partners began studying Disproportionate Minority Contact & Confinement (DMC) in Dane County. In 2009, a report was published with recommendations from each of the six sub-workgroups to address the significant disparity at every level of the youth justice system in Dane County. Inclusion of Evidence Based Practices (EBP), including trauma informed care, were among the many recommendations. Building in youth and families, the ability to do the kinds of things that are valued by the community and providing the opportunity to do these activities. Promoting restoration of the human and relational aspects disrupted by crime by having an offender understand and accept responsibility for the harm to others and taking the necessary steps to repair the losses incurred through that harm. Responding in ways that promote both short and long-term safety for the community. In focusing on these three goals, Social Workers assess youth referred for law violations and make recommendations about to the court system partners about how to best address the youth’s needs. A variety of programming, via both in-house and purchase of service providers is available to address individual needs. While developed initially as in intervention strategy, many of the BARJ are consistent with the best research and practices in preventing delinquent behavior. For over two decades, the issue of disproportionate minority confinement has been a focal issue of both state and federal governments. 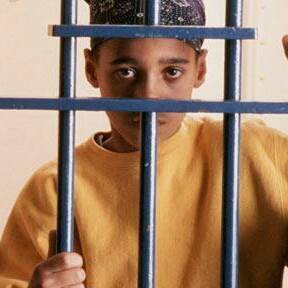 In 1988, the federal Juvenile Justice and Delinquency Prevention Act (JJPDA) was amended, requiring states to address the overrepresentation of minorities in the youth justice system. Minority groups were defined as African-American, American Indian, Asian, Pacific Islander, and Hispanic. Each state was required to determine whether minority groups were detained or confined in secure detention facilities, secure correctional facilities, jails, or lockups at a rate that exceeded their proportion in the general population. States were also required to identify what efforts were being made to address this disproportionate representation. In 2002, the current definition of Disproportionate Minority Contact & Confinement (DMC) was established by expanding the issue to consider all decision points of the youth justice system: youth arrests, court referrals, diversions, secure detention placements, cases petitioned to courts, delinquency findings, placements on supervision, placements in secured correctional facilities and transfers to adult court. The Office of Juvenile Assistance compiled a comparative analysis: Disproportionate Minority Contact: An Analysis of Brown, Dane, Kenosha, Milwaukee, Racine, and Rock Counties, 2002 – 2005. Data for Dane County illustrates a significant need to address issues of DMC at multiple points throughout our youth justice system. Dane County had the lowest proportion of cases diverted; meaning minority youth were less likely to be diverted in Dane County than in any other county. Dane County had the most disproportionate levels for cases involving secure detention, with minority youth over 2 times more likely to be held than their white counterparts. Additionally, Dane County tied with Milwaukee County for the most disproportionate levels of cases petitioned for minority youth than their white counterparts. Perhaps one of most troubling statistics is that in Dane County in 2005, African-American youth were 6 ½ times more likely to be arrested than their white counterpart, a disparity that has increased yearly from 2002 through 2005. Dane County’s rates of youth arrests were the most disproportionate rates of all six counties in 2005. The Youth Justice Disproportionate Minority Contact & Confinement Solutions Workgroup was formed in September, 2008 with the purpose of bringing together key stakeholders and community leaders to examine the DMC issues facing our community (Co-Chaired by Judge John Albert and DCDHS Administrator Robert Lee). Members were drawn from areas throughout our community including the United Way, Centro Hispano, YWCA, neighborhood centers, faith-based programs, schools, police departments, attorneys, Urban League, NAACP, Juvenile Court, Dane County Department of Human Services, contract agencies and others. Training: Cross disciplinary training for system partners, training for parents about systems and how to better advocate for the children as well as competency development training for youth were recommended. Coordination: Improved coordination across systems to support institutional responsiveness to race, culture and youth, inclusive of non-traditional partners. Disposition: Alternative responses to issues that bring youth into formal systems such as deferred prosecution. Skill Development: Help youth and families feel empowered and connected to their communities resulting in promotion of pro-social behaviors and minimization of negative behaviors. EBP suggests it is important to pay attention to dosage: as risk increases, so should treatment hours, length of treatment and intensity of contacts. Equally important, low risk youth could be negatively effected by traditional contact standards and contacts with more high risk level youth. For high risk youth with multiple high risk factors, it is best to address the highest risk factors first. Mark Carey recommends a focus on the risk factors that are behind the youth’s illegal behavior, a response that teaches skills to youth that directly link to their motivation to participate in risky behaviors and repetitive skills practice.